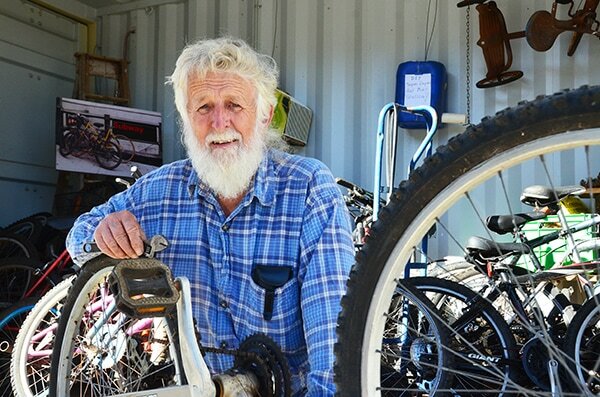 Council is seeking people to join the new Upcycle Volunteers Team at the Lismore Revolve Shop and use any skills or talent they have to help fix, re-purpose or display second-hands goods. "Do you love fixing old gear like motorcycles and mowers? Do you love books and would like to make a beautiful display? Are you a woodworker who can help fix things before they go on sale?" Council’s Environmental Strategies Officer Barbara Jensen said. "If you answered yes to any of these or have some other talent, passion or skill that can be used at the Revolve Shop, then we want to hear from you!" The Revolve Shop philosophy is all about keeping items out of landfill and encouraging people to purchase second-hand items to take home and paint, fix or re-purpose. Council is seeking expressions of interest from any local community members over 18 who would like to join the Upcycle Volunteers Team and work for four hours each week at the Revolve Shop. “This is a wonderful opportunity for people to share their skills and help us continue improving our sustainable waste management,” Barbara said. “We know there are lots of people in our community including retirees who have amazing skills and practical knowledge, and we want to tap into that and create a really dynamic team of local craftspeople and tinkerers who can help us re-purpose goods. It will be social and a chance to spend time each week doing something you love. Volunteers would work at the Lismore Revolve Shop, located within the Lismore Recycling & Recovery Centre on Wyrallah Road. Applications close on 31 July. For more information, phone Barbara on 1300 87 83 87 or fill out the expression of interest form at www.lismore.nsw.gov.au.